Creation: Appeared in July 1933 as a renumbering of VA 432. It initially ran from VA 147 north to Glenside, then west to VA 4 (now US 33). This has been the only VA 161. Adjustments: In March 1942, by Act of General Assembly, VA 161 was rerouted in Glenside to instead head east to US 1 as it does now. The routing west to US 33 became VA 356. In Nov 1942 (CTB), VA 161 was extended south as upgraded routing across the James River and down to US 1-301. The first multilaning of VA 161 is shown on the 1952 Official, from the NCL Richmond to VA 356. In 1957, VA 161 was multilaned from US 60 to US 360. In 1964, VA 161 was multilaned on its VA 10 duplex. In 1992, VA 161 was multilaned from VA 10 south to where it left Belt Blvd. for Terminal Blvd. In 1993 or 1994, VA 161 was multilaned from VA 356 to US 1. In 1994, VA 161 was multilaned from Terminal Blvd. south to I-95 when it was rerouted to Belt Blvd/Commerce Rd. There were error US 161 shields on US 33-250 EB continuously for at least 25 years from 1981. 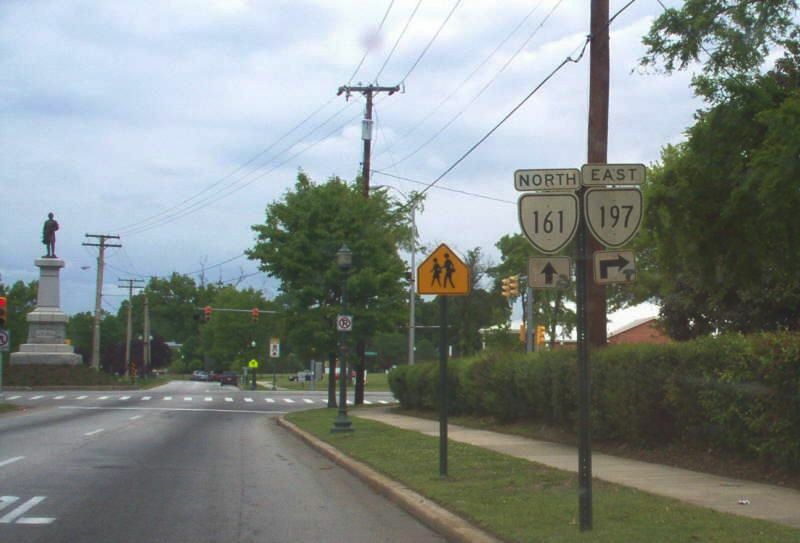 A shorter-lived US 161 shield also existed on VA 10 in the late 1990s. Poor posting at VA 356 and nearby US 1 have been greatly improved. Comment: The VA 161 bridge over the James River is a toll bridge. VA 161 runs through some swanky parts of Richmond on both sides of the river.